Take off with the Jet cross tire. Optimized for serious traction with a tread pattern borrowed from the Michelin MTB line and a grippy Silicium rubber compound. 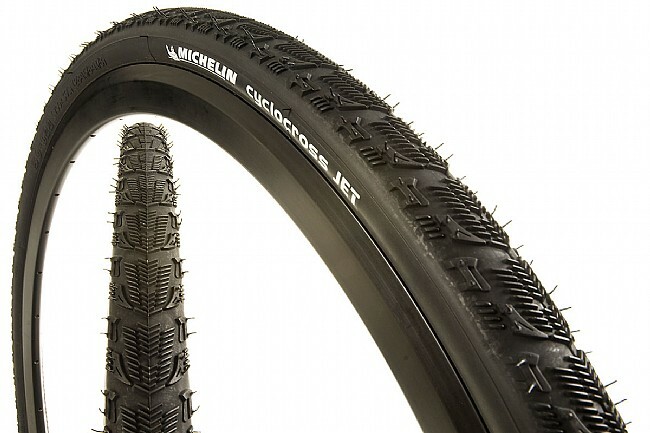 For mixed terrain racing many riders run Michelin's Jet on the back wheel with the Cyclocross Mud 2 on the front.